Our bars have yielded important advancement in the overall layout and function of a beverage workstation, it’s able to meet the needs of bartenders and mixologists alike. We rent bar counters that range from the standard fold table & skirt design to the popular LED panels. 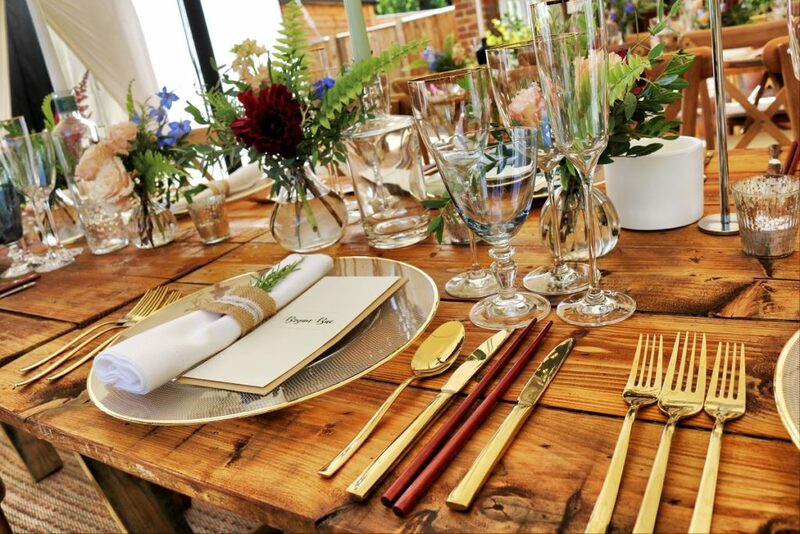 We also have bars with a more natural and rustic feel (i.e. boxwood, fretwork, etc.). Accommodations for small appliances and storage are all part of our bar systems which can endure the most demanding functions without compromising on functionality or ambiance. Maintaining its traditional yet modern design, our range of cocktail, coffee and dining room tables offer standard as well as elegant options to match any décor or theme. 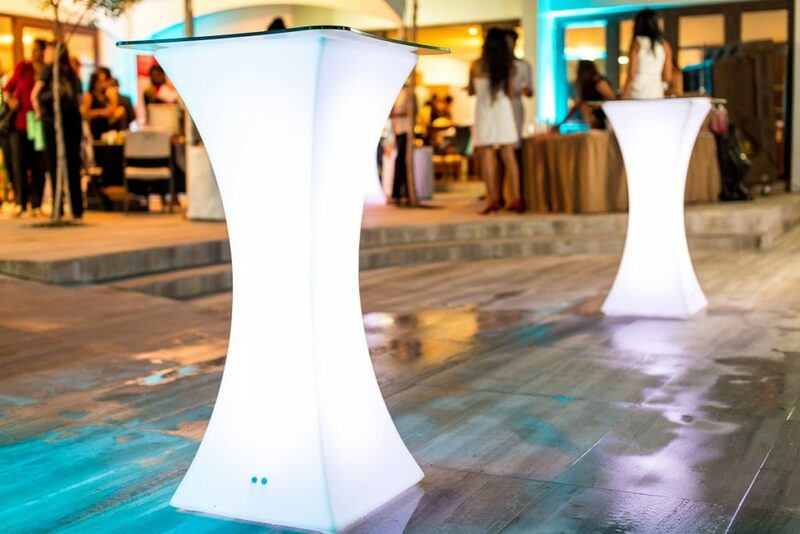 With the innovative multi-colour LED design and overall solid structure, these tables guarantee to convey nothing less than profound strength and reserved beauty. 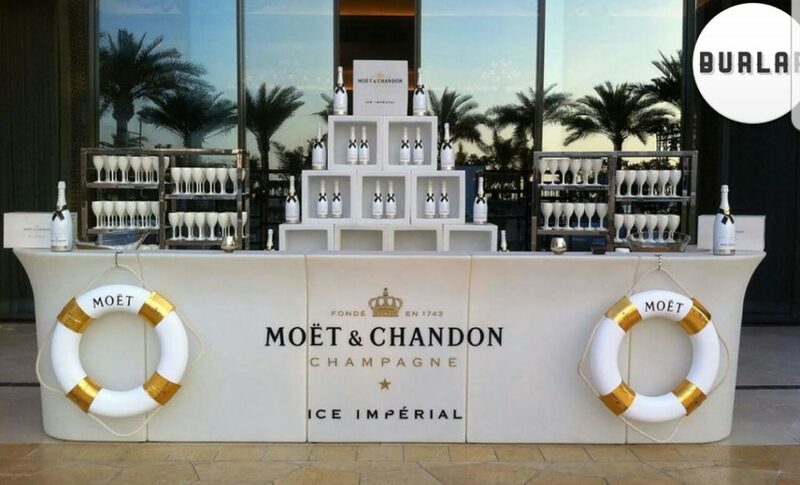 In order to complete the overall presentation of a mobile bar, one must consider incorporating some level of a display to showcase the selection of drinks available. When a guest is being served, the appearance behind the bartender is just as important as the bar itself. 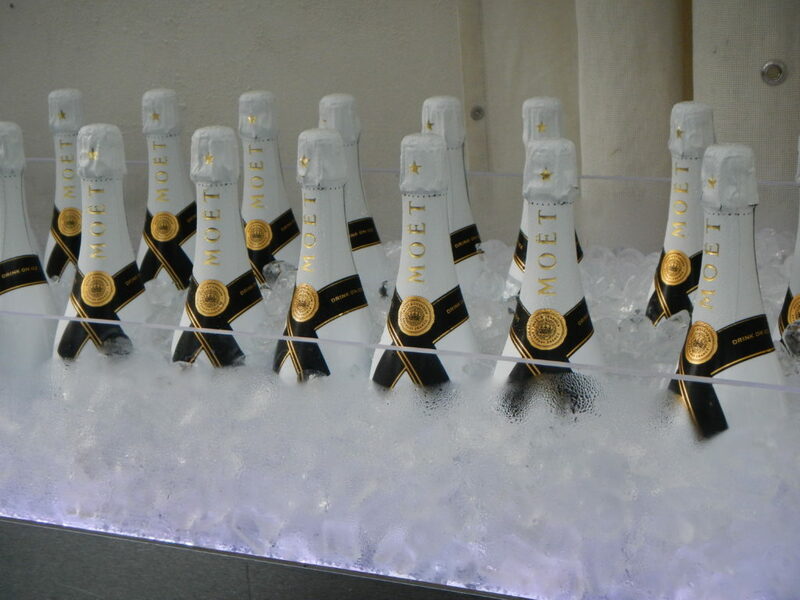 At Bar Garden, we offer many different versions of bar back displays. Every function is unique and therefore the type of drinkware you use depends on the theme of event. For a fete or a sports day, disposable cups may be the best option as opposed to a wedding or corporate function where elegant glassware may be at bit more suitable. We can provide any sort of drinkware and dinnerware available to meet the needs of our customers.